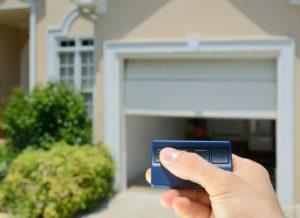 Can you remember when you garage door opener was replaced? Did it come with your house? Could it be decades one? At Dynamic Garage Door we find that garage door openers are not something people think about until they stop working at top capacity. Read on to learn about five signs that yours should be replaced. Then contact Dynamic Garage Door for help with steel garage doors, custom doors, and much more. Most people assume that garage doors are safe. They assume that if a garage door was closing and a person or animal was in the way, the door would not close. It is true that there are currently safety regulations in place that affect how a company can manufacture doors and the safety features they must include. However, did you know that these regulations were only put into place in 1993? Before then, garage door companies had no requirements to add an automatic reversal system, which is what we all count on now to stop the door from closing if there is something in its way. If your garage door opener is “ancient” then it may be unsafe as well. Today’s safety mechanisms are incredibly advanced and virtually guarantee no one can get injured. If your garage is attached to your home then it is essential that your garage door opener is secure. If it is not, and a thief can break into your garage, they can easily break into your home. Generally speaking, if your garage door opener is more than 15 years old then it may be designed with technology that makes it relatively easy to break into. We live in a time during which we can connect everything via the cloud – including our garage doors. There are many reasons to consider a connected garage door opener. For example, being able to open or close your door from your smartphone can allow you to give access to visitor when you are not home. Can you hear your garage door opening? If so, then it may be time to replace the opener. Today’s technology allows for virtually silent operation. Stop being woken up by someone coming in or out of the garage. What would you do if you were in an emergency situation in which the power was not working and your garage door would not open? Whether caused by weather, natural disaster, fire, or something else entirely, if you are dealing with a power outage it should not prevent you from being able to get to your car. If you are ready to consider all your options for today’s latest garage doors and garage door openers, contact Dynamic Garage Door at 855-343-3667 today.